Let me introduce my herd one more time.. Character: Chilled out and loves humans, but is a bit anti social with pigs. She was the alpha female up until a year ago. Current health:Arthritis, but overall in good health and mobility. 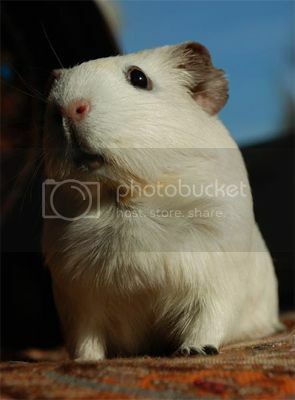 Character:Inquisitive, cheeky and not at all pig like. Is the most active and curious of all my pigs. 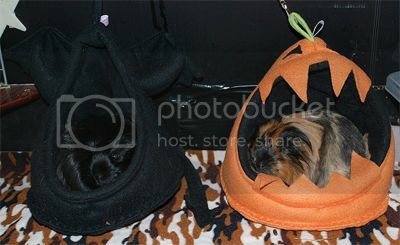 Name:Squee (black) & Chubbles (ginger), our mum & daughter team. Type:Squee is a black self sheltie & Chubbles a tri-colour sheltie. Character:Squee is alpha female and can remind the others of that with quite some vigour lets say. 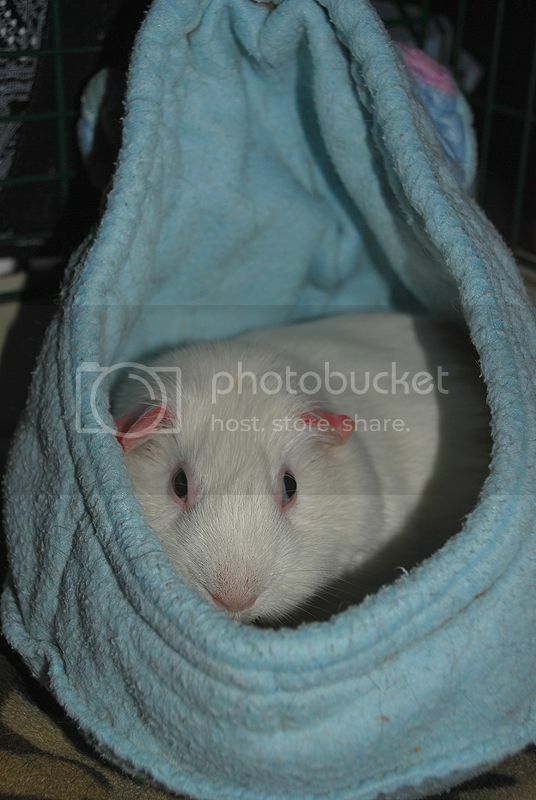 Chubbles is a scaredy pig and rather follows then leads. She's very human shy. Current health: Chubbles is perfectly fine. Squee has a benign lump that the vet left as it isn't effecting her & she was recently trialled with a chemical spay due to having OC. Apart from them we also have a hamster named Mushi, a blue tongue Skink named Lilly, 2 leopard geckos Jake & Marceline and a whole array of inverts. On top of that I also work at Bristol Zoo as an animal care tech :), so animals are definitely a big thing in our household! Yay for Scruffles, Nibbler, Squee, and Chubbles! May they all have a wonderful year 2013! See the 2013 GL calendar for some great Brainerror photos! The pig-coordinating Halloween cups are great! Lynx, is there any way I can still order a calendar? I know I'm very late, but my end of the year has been crazy hectic, hence my lack of posts as well. Yes, you can still order a calendar! Shipping rates just went up (drat!) but still can do. Fill out an order form if you're interested. Yah for a new thread and lovely to get a quick re-introduction to the girls. Can't wait to read more updates and see their latest photos. Oh scruffles has my heart, she is just darling. Whenever I see her picture, I just want to pet her and see what that beautiful fur feels like. Nibbler's pic sums her up perfectly! I caught up on your chronicles and I just love your pigs. 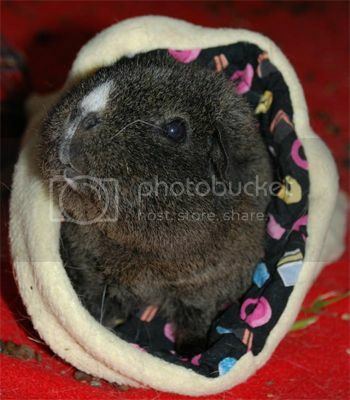 I think Scruffles is my favorite, but Chubbles has to be my favorite guinea pig name ever, lol. They are all so precious. Yay! I can't wait to see more photos BE. I'm also so very jealous of your job - it's something I've always dreamed of doing! I've too been meaning to get a Guinealynx calendar but I will have a wait until next month unfortunately, I think! Poppycorn - it was pure luck & 3 years volunteering that got me in really! Those kind of jobs tend to circulate within the company first and then go public. Volunteering is a sure way in, although nothing became available for 3 years for me. Scruffles was being a doll last night and kept me snuggly company. I've been struck down by a nasty flu for a week now and only now slowly on the mend. Hopefully I'll make it up to her later this week! Oh crumbs! Sorry! I seem to always think in threes!!! Sorry! All your pigs are adorable, but I love Scruffles' chubby little cheeks! Sidera, it's a song by Morrissey ;) I'm a bit of a fan.. heh. I always sing this song to the pigs as it's so apt. Mildred, no worries ;) and I'm slowly mending at long last! I just love that shot of Nibbler, just so ... NIBBLER! Love your new title BE, and happy new year to you all. This weekend we have a poorly lodger named Ariel. She's one of the pigs I care for at work, but this morning she was found with fractured bottom incisors for unknown reasons which the vet then removed. Doped up on painkillers and poorly I have to force feed her around the clock until she's ready to eat CC on her own.